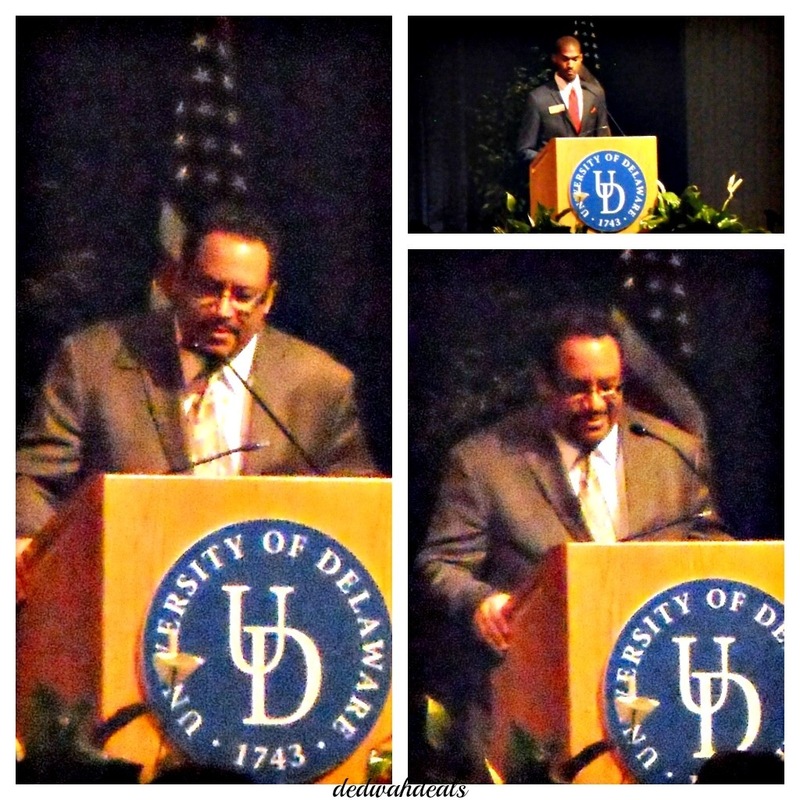 Dr. Michael Eric Dyson, was a guest speaker last night at the University of Delaware, in Trabant Hall. 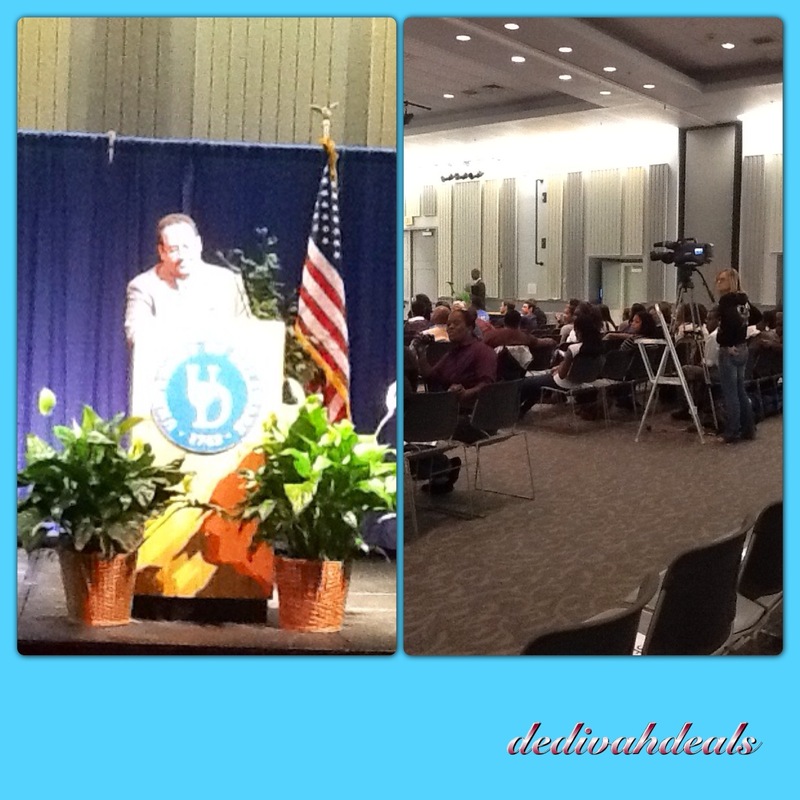 The event was presented by CPAB and co-sponsored by Center for Black Culture. 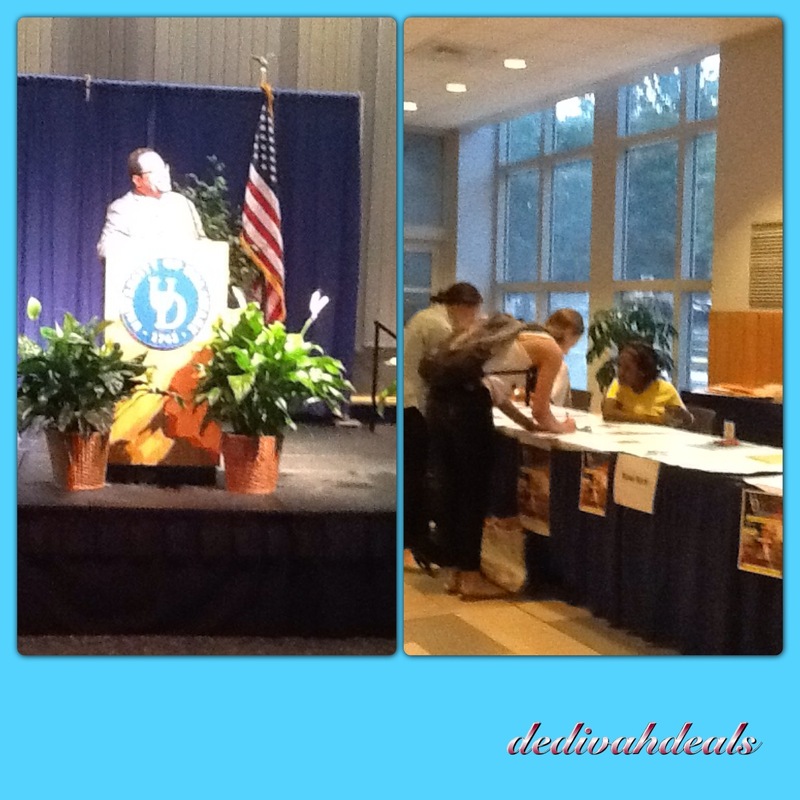 The evening started with a tribute to Fannie Lou Hamer by Ms. Glenis Redmond, poet and author. 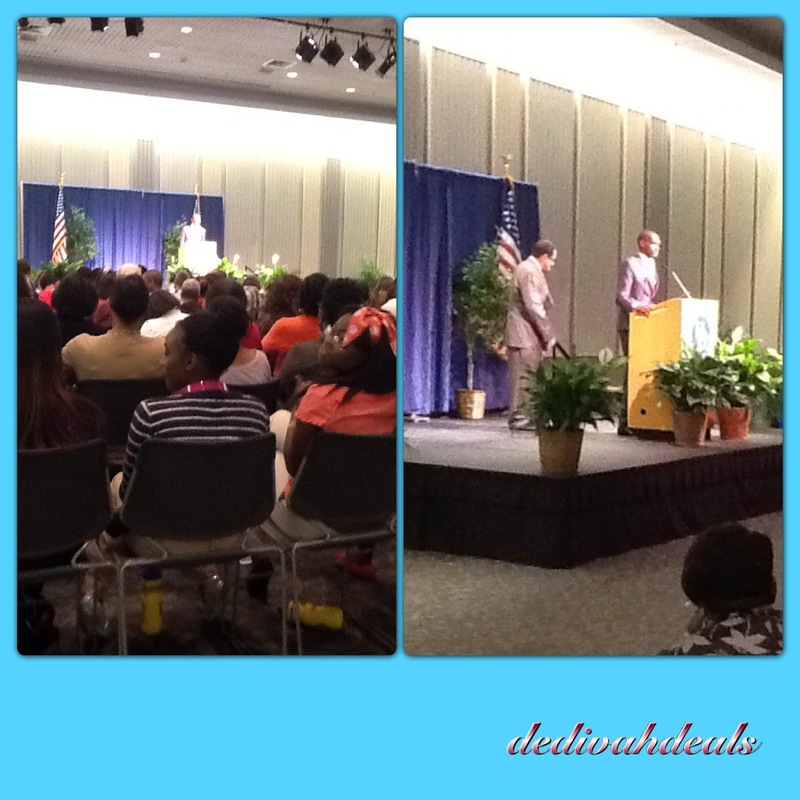 The program was free and open to the public but was geared more towards the college students. 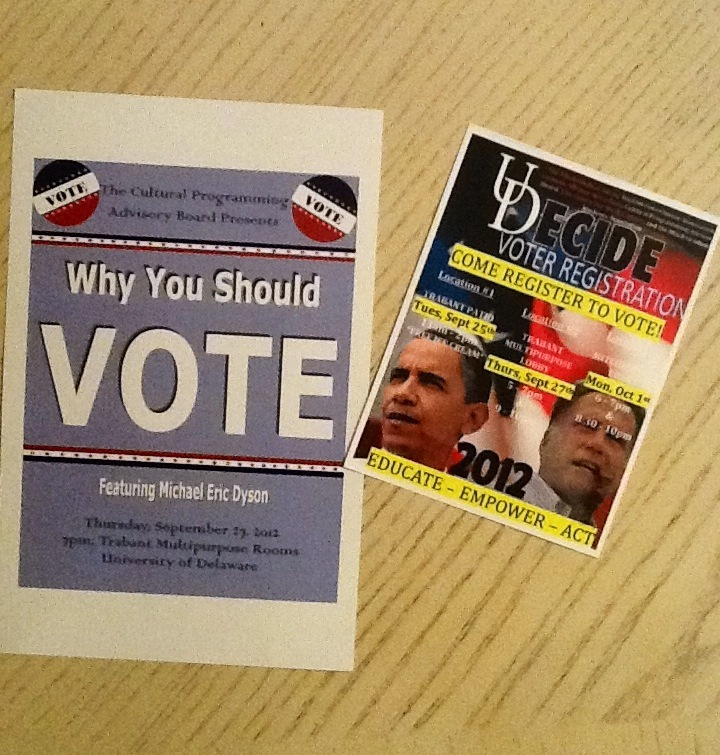 In the lobby there were several tables manned by students registering people to vote, seperated by states. 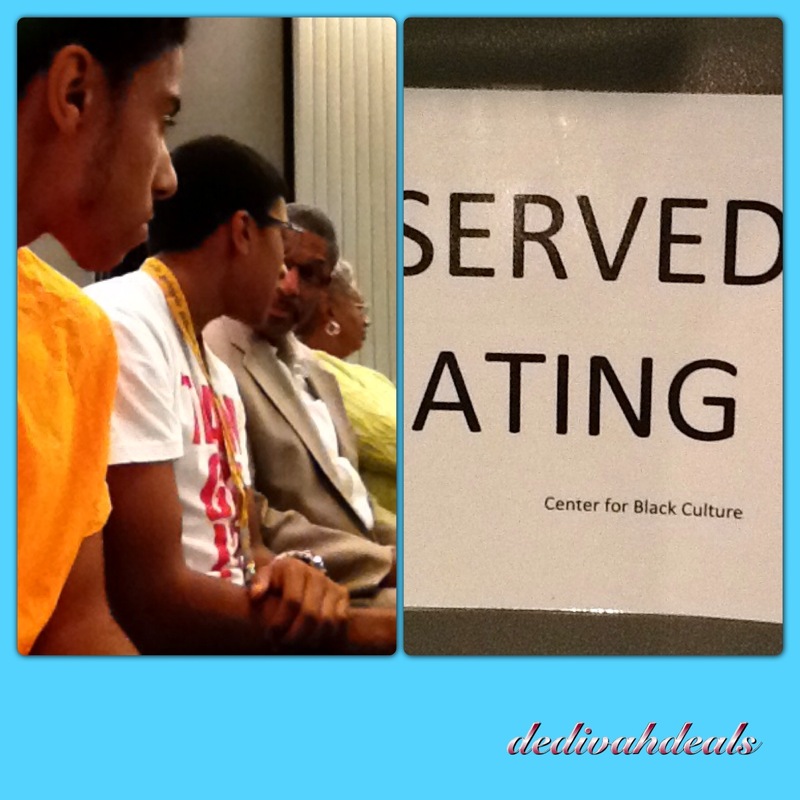 The audience was a mix of young and old, black and white, students, coaches and staff. I was there with my husband and sons listening to historical facts and stories, some funny and others not so much, some even sad. 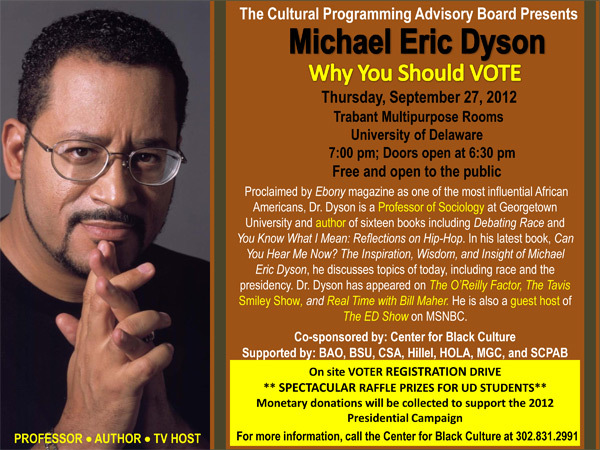 Dr. Michael Eric Dyson, is a Professor, Author, Radio and TV host, and a regular guest on The Ed Show on MSNBC. He began by thanking those who invited him, weaving in sports, music, and educational antidotes, some old school for the young crowd, and new school for us older folk. 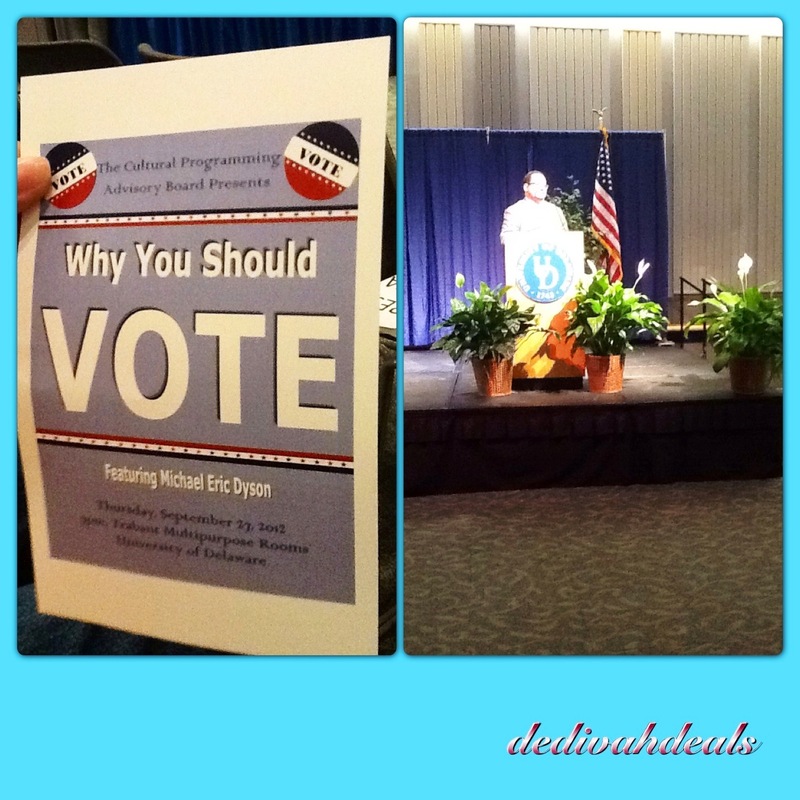 After about 10 minutes of acknowledgments and shout outs he began, “Why You Should Vote”. Unfortunately, there are many young people who do not plan to vote, some of which have been very vocal, including a talented rapper. He has too many not-so-good reasons as to why he will not vote and many of his fans are listening. What he and others may fail to realize is that there are still places in the world where people cannot vote but wish they could. 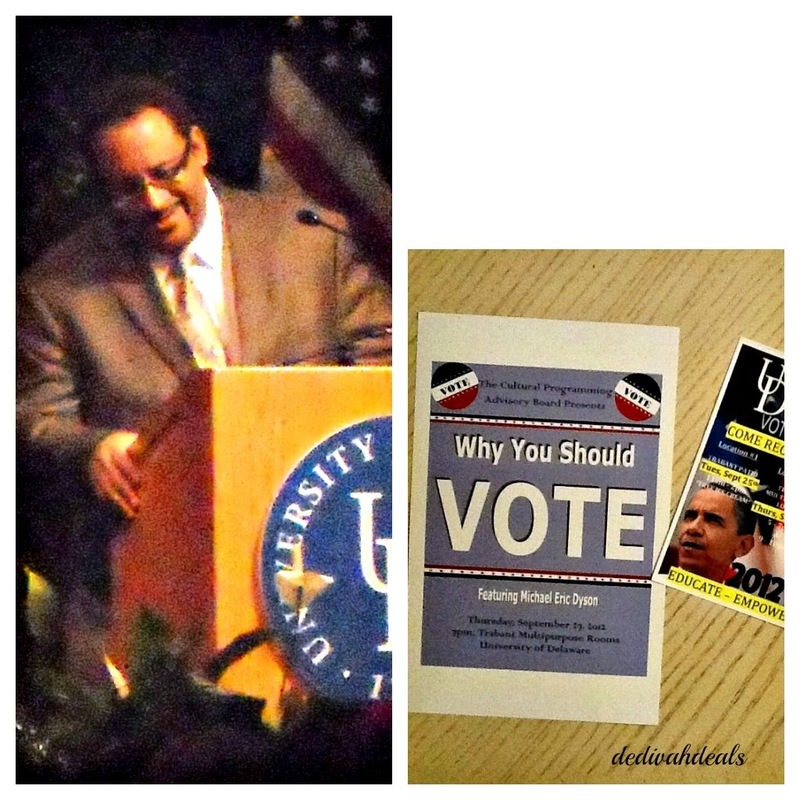 Dr. Dyson was not there to tell the audience who to vote for, but just to vote and he laid out these 3 reasons. The program ended with a question and answer session, unfortunately we didn’t stay the entire time. I did hear him give simple, down to earth, easy to remember responses for students to give those who say they are not voting. 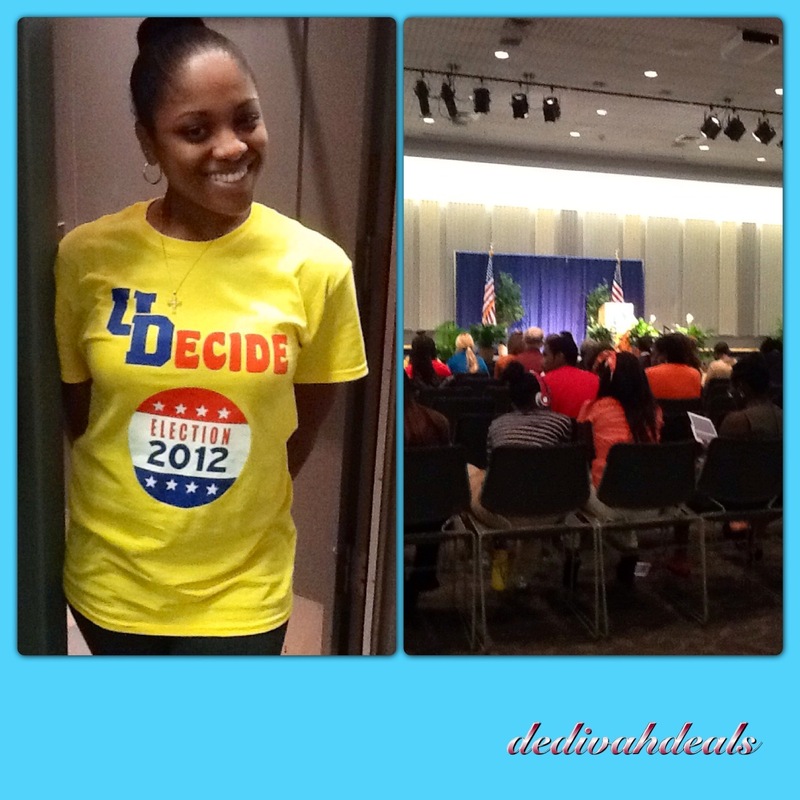 It was a very good presentation and the applause was heavy, now just praying that the students in attendance will vote because our future depends upon it.